Questions Emerge Over Florida Shooter's "Full Metal Garb"
Just as we saw with the massacre in Las Vegas, a number of questions and inconsistencies have arisen following the Parkland High School shooting. As Intellhub's Shepard Ambellas reports, Marjory Stoneman Douglas High School teacher Stacy Lippel was grazed by a hot bullet which left the chamber of the shooter’s gun as she closed the door to her classroom after letting a number of students file into what would presumably be safety. However, nothing could have prepared the teacher for what she was to witness next. The brave teacher said she told fellow Stoneman Douglas H.S. teacher Scott Beigel, 35, to get back in his room just before the shooter fired a number of rounds into his room killing him and other students. Lippel said the shooter fired four to five rounds into her classroom which shattered the classroom door window before the heavily-claded assassin continued his diabolic shooting spree down the hallway. Police maintain the suspect Nikolas Cruz arrived via an Uber ride at 2:19 p.m. and initiated his attack within 1 minute. If true, that would mean that Cruz would have had to suit up into full metal body armor, put on a full helmet and the whole nine yards, all the while assembling an AR-15 rifle which was purportedly packed into a duffel bag with a number of fully-loaded magazines. Such a scenario seems not only entirely unlikely but almost impossible. While that interview raises a few questions, it is not unusual for witness recollections to be wildly different from one another. The student said he'd been given the vest by his father, a police officer. Even in the safest city in Florida, he'd brought it to school with him, just in case. ... prosecutors have already offered Cruz a deal to spare his life in exchange for his plead of guilt. 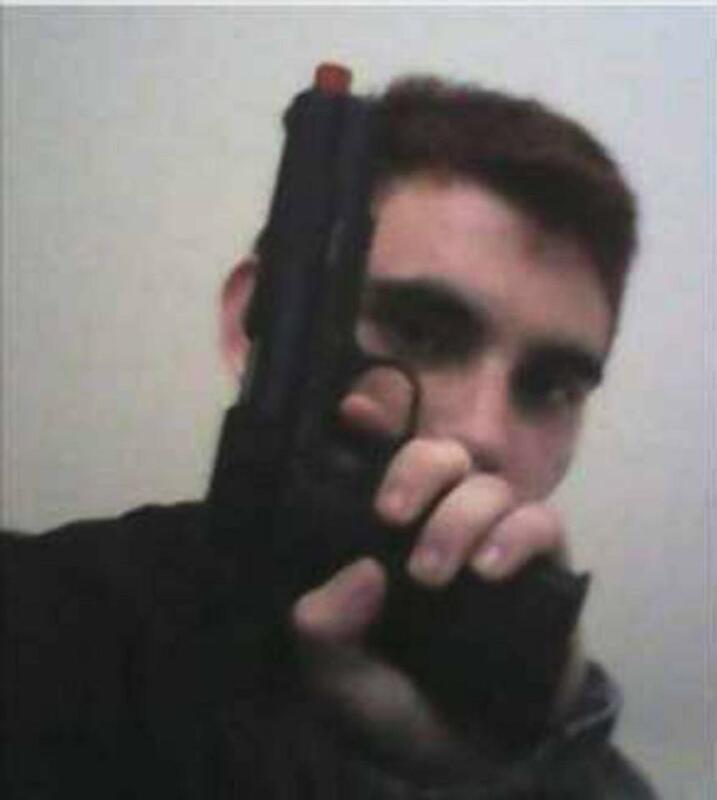 However, if school cameras, video footage, and other hard evidence reveals that Cruz was, in fact, the shooter, why would there be a need for Cruz to plead guilty? Wouldn’t the case be cut and dry?